...through wiping, we learn. : Low(er) level questing. 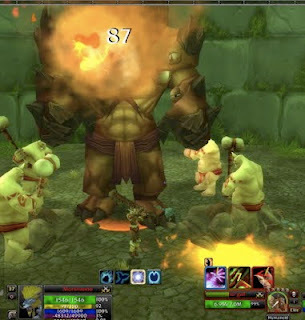 Last few days, I did something I wanted to do along time, levelling through questing. Before Patch 4.0.1 came out, I already had a heirloomed undead hunter do a lot of the Horde Eastern Kingdoms quests, now I made a Troll kitty, to see the Horde Kalimdor quests. There be spoilers ahead, mates. So, my kitty entered Ashenvale, at lvl23 or so.... which is way to high. How could that have happened? 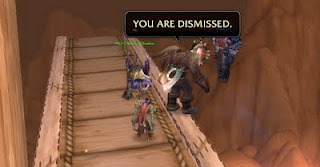 Oh, wait, there is something called rested, you know, the fact that you get 200% more xp when you logged out in an Inn and/or City... so, no more rested for Morshando then, and luckily, I have done the Ashenvale quests. 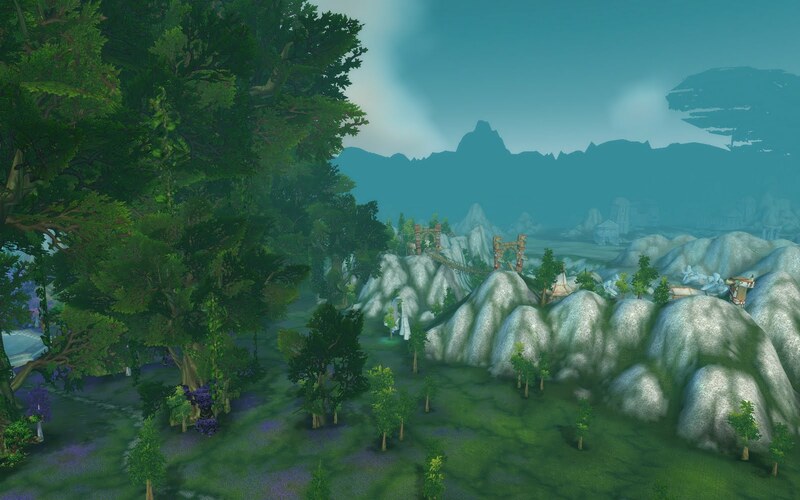 So, at lvl25, I visited a board, and went to the Stonetalon Mountains. 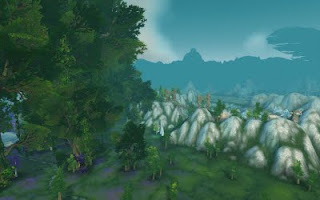 If you think Ashenvale is a warzone, wait till you see Stonetalon, you are constantly fighting alliance there. And there is a nice end-quest here. By the way, every zone is now made for 5 levels and has some nice end-quest, with a blue reward. There are also several in-between-blues. 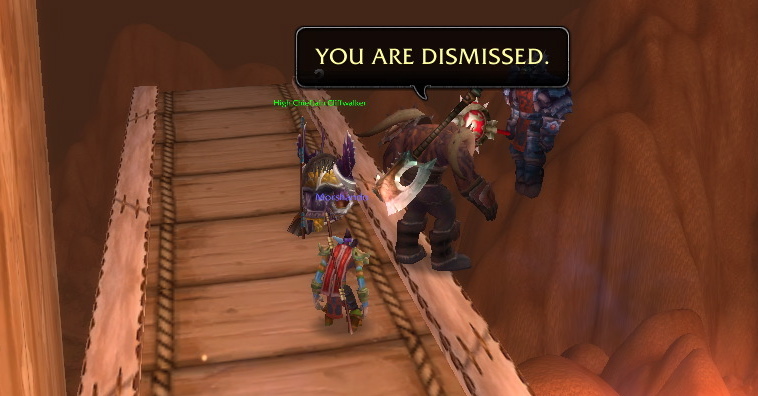 I did almost all quest in Stonetalon, and had a choice, either go Southern Barrens, or go Desolace. Morshando went desolace. They completely changed this, very nicely done. Although there are more 'old' quests here than in earlier zones. I skipped those, united all centaurs, and went one level to early to Feralas.... wait. In Desolace, there is a Troll town along the coast, Shadowprey Village at least had some quests. For all of you Horde playes, if you want a nice and quiet town, visit the Tauren retreat in Stonetalon. It has a flightpath, but as far as I know, no quests anymore.